A new generation of business leaders is turning to mindfulness as a cutting-edge leadership tool. Scientific research suggests that the practice of mindfulness (a technique for learning to live in the present moment) can help individuals to gain clarity, reduce stress, optimize performance, and develop a greater sense of well-being. 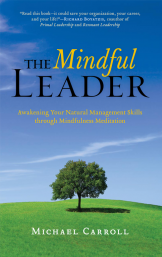 Full of engaging stories and practical exercises, The Mindful Leader will help leaders in any field to discover their innate intelligence, bravery, and joy on the job. Michael Carroll worked for 25 years on Wall Street and in the publishing industry; he is the author of Awake at Work. He is a longtime student of Buddhist meditation and an authorized teacher in the lineage of the Tibetan master Chogyam Trungpa. In this bold and revealing work, Carroll delves into the relevance of meditation to the workplace and the dynamics of leadership. In a chapter titled "Opening Up to Workplace Realities," he looks at the contrast between the "top-down" leadership of business where the milieu is one of a pressure-cooker versus leadership from the inside where the emphasis is upon bringing out the best in everyone. One of the qualities behind the latter, mindful leadership, is a vulnerable openness, which the Tibetan Buddhists call jinpa, complete generosity. It means giving ourselves to others without "making ridiculous demands or placing lids on situations." Opening up is just the beginning step. We must also set aside our self-deceptions that stem from arrogance, aggression, and fear. They include chasing false hopes, giving in to the traps of blame and praise, living under the illusion of security, and continuing in stale routines. Carroll believes that the regular practice of mindfulness meditation can generate ten leadership principles: simplicity, poise, respect, courage, confidence, enthusiasm, patience, awareness, skillfulness, and humility. Cultivating these principles on the cushion can lead to further competencies that create health and well-being in organizations, such as building trust, eliminating toxicity, sending clear messages, and healing wounds. Reading Michael Carroll's book and attending his weekend retreat earlier this year turned around my attitude at the office, prepared me well for several looming crises at work, and nearly saved my life. His book Mindful Leadership is essential for anyone trying to lead successfully in today's world of information overload, anti-rationalism, and blind decision-making. 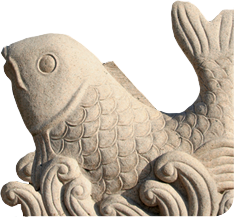 It is equally helpful for a business leader, public servant, diplomat or aid worker, NGO or community organizer. Rather than give advice on what to do when, he teaches us that mindful leadership means being open and synchronized--which allows us to tap into our own natural goodness and wisdom that is already in our environment and telling us how to lead…..